I was hoping it would be possible to add a "other" field to the array question form which could be defined by the respondent. 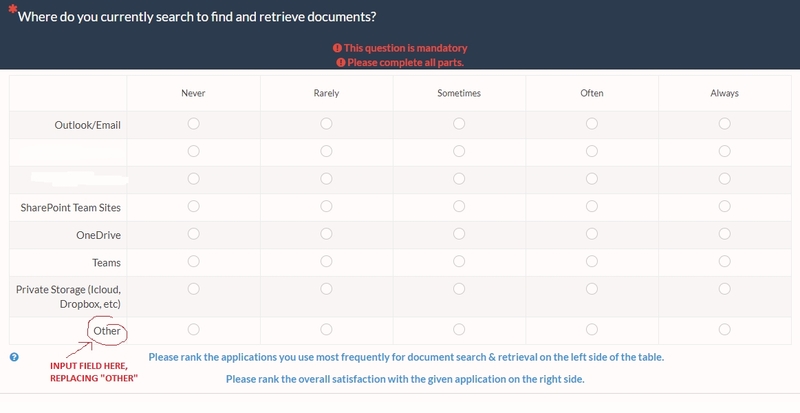 As shown below in the image, i would preferably like to provide the respondents with the option to add other application to the array form as a text input. Hope this is possible. Thanks! This is not possible with the current functionality. You will need to look for a workaround. To get help or hints, you should state your LimeSurvey version.